LEWISVILLE, Texas (Mar. 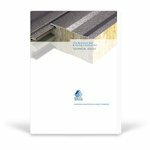 10, 2014) – Metl-Span has released a comprehensive technical digest titled Fire Resistant Wall and Ceiling Construction to help builders understand the use of its ThermalSafe panels in fire resistant wall and ceiling applications. It offers considerations for a variety of materials and their suitability for different types of construction and general assembly details. “It’s important to recognize that fire resistant walls and ceilings are specified as separation barriers to prevent the spread of fire into other areas of a building or into other buildings,” says Doug Pickens, Vice President of Marketing at Metl-Span. “This digest defines fire resistant construction as well as who determines the requirements for fire resistant construction and how it is measured. It explains basic requirements for fire walls, exterior and interior barrier walls and ceilings, and outlines all of the penetration fire stop systems specifically designed for use with Metl-Span ThermalSafe panels." Metl-Span offers UL and Intertek certified ThermalSafe fire resistant insulated panels for most fire resistant 1-, 2, and 3- hour rated non-load bearing wall applications, 1½- hour fire resistant rated ceilings, and fire resistance rated door and window assemblies. To download Fire Resistant Wall and Ceiling Construction, visit www.metl-span.com. Metl-Span manufactures some of the most thermally efficient and cost-effective insulated metal wall, partition, ceiling and roof panels available today. The company is a recognized leader in the advancement of insulated panel technology and continues to shape industry standards. For more information on the complete line of Metl-Span products, call 877-585-9969 or visit www.metl-span.com.